Everyone seems to talk about the importance of online marketing for any small business. Through graphic design and social media tools, it’s easier — and cheaper — than ever to create pieces of content and share them with your target audience with just a few clicks. As views and “likes” rack up, you can instantly see the return on investment for your marketing efforts. But even in this digital age, it’s essential for small businesses to maintain some aspects of print marketing. Don’t think of it as stale and old-fashioned. Think of it as a blending of old-school and new-school techniques. The resulting robust marketing approach meets your customers where they are — which ultimately can result in business growth. 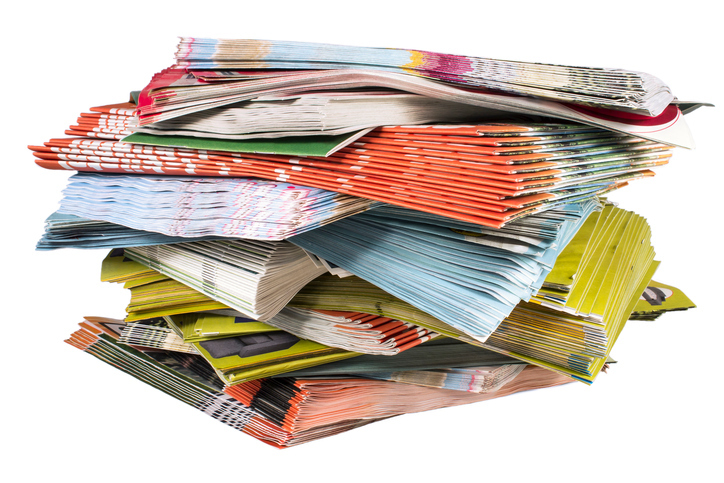 Have you overlooked any of these print marketing elements? Not everyone has their phone ready to look up your Twitter handle, and who can ever find a pen when they need one? Business cards are still important when you’re networking with potential clients, vendors or colleagues. Gone are the days when you could get away with printing your own on card stock. By using online design tools and printing services, it only costs a few cents per card to create a memorable business card that represents your company. The hardest part may be remembering to have a few on you every day. Whatever your business is selling, remember that it takes seven experiences with your brand before a customer is ready to buy. That means that some customers need a physical reminder in hand about your offerings and pricing. Consider what information is most important to share with your customers. Maybe it’s a list of your most popular services and the prices for those services. Maybe it’s a simple list of your address, hours and social media links. Maybe print a coupon to hand out at the register. Encourage customers to share with a friend which can help combine word of mouth marketing and print marketing. Whatever you choose, make sure it showcases your logo, business name, and essential details, like address, phone number or website. By making it easy to find you, you make it easier for the customer to decide to buy from you. People nearby can’t support your business if they don’t know you exist. A direct mail campaign can help you reach more customers, generate leads and increase sales. Resources like Clipper Magazine, Money Mailer, Valpak and the United States Postal Service can help you craft a campaign that fits your budget. Or, use your own mailing list to alert past customers to your newest products or services. Track the success of your direct mail campaign by asking customers to bring or refer to your mailing when they visit. To develop a well-rounded marketing mix that includes print marketing, talk with a SCORE mentor about your marketing goals.